It is, of course, Advent and something about this season should really slow us down. For most of us, however, the opposite occurs. There are final papers to write and exams to take, projects to finish, parties to attend (and maybe even a worship service - at least on Christmas Eve), and shopping for presents. Added to my list this year: moving back to Portland from St. Louis. It will still be awhile before I start to regularly update this site again. My computer is in boxes - along with everything else we own - and other more important priorities besides writing are occupying my time. Visit Street Prophets for all the latest information on the world of progressive religion. There is always lots of good content there. Related Post: "DignityUSA Condemns Seminary Visitation as Witch Hunt"
Three Catholic clergy are facing prison sentences in the US after acts of civil disobedience against a military training school which teaches torture techniques. Franciscan Frs. Louis Vitale and Jerome Zawada and Sr. Mary Dennis Lentsch, PBVM were Arrested with 33 Others as they called for the Closure of the Western Hemisphere Institute for Security Cooperation (WHINSEC) a combat training facility for Latin American security personnel. The world needs more people like these. Related Link: 16,000 Protest "School of the Americas"
Giving Thanks – to what end? For many Americans, Thanksgiving offers a break from distressing reports of torture, terrorism and war. Should this be so? In the United States, we give thanks on a regular basis for what we have. At this time of year, we do so ritually: in houses of worship and around our dinner tables, we recall the peaceful exchange of food and hospitality between the Pilgrims and the Native Americans, the desire for religious liberty that prompted the Pilgrims to move to the New World in the first place, and the multitude of other freedoms subsequently enshrined in the constitutional, historic and cultural legacy of the centuries to follow. As a more or less religious citizenry, we typically understand this bounty in terms of blessings, as divine gifts. For this reason, the very idea of a national Day of Thanksgiving resonates with Christians, Jews, Muslims and others. We also typically understand that the enjoyment of these blessings brings a responsibility to nurture them. What might our respective faiths tell us about how we’re doing on that score? 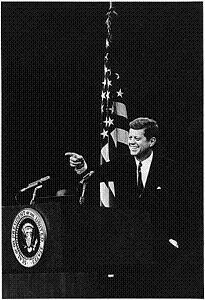 Since its founding, the United States has been a beacon of hope to the world in terms of human rights. Today, our torture of detainees, directly or through extraordinary rendition, makes us a target of contempt. Thankful as we are for the right to “life, liberty and the pursuit of happiness,” the religious belief that all human beings reflect the divine imprint calls us to resist all assaults on human dignity, and thus to reject torture. The fact that there is even a debate raging in Washington on the McCain Amendment is more than a little unsettling. In the area of civil liberties, the United States has historically served as the model of jurisprudence for other countries. Today, assaults on constitutional guarantees – attempts to dismantle due process, the prohibition against unreasonable searches and seizures, and basic privacy norms – call into question our commitment to justice. Thankful as we are for the principle that all should be treated fairly before the law, the religious conviction that we should treat others as we would wish to be treated leads us resist threats of social injustice. It would seem that fear has so manipulated us that we are willing to sacrifice, through such things as the Graham Amendment and the USA PATRIOT Act, the ideals that have made our country great. As for security, the United States has for the better part of a century been the military bulwark against invasion here and tyranny abroad. Today, with the policy of preemptive strike, the manipulation of intelligence to justify war, and the willingness to use white phosphorus in Iraq, our country is now seen as a major threat to security worldwide. Thankful as we are for American eagerness to defend the common good of all, the religious understanding of altruism and self-sacrifice causes us to resist abuse of power, not least of all because it recklessly puts our uniformed men and women in harm's way. There is great irony in the fact that, for all the talk of supporting our troops, we rarely, if ever, have been allowed to see their flag-draped coffins on television. And what of global citizenship? For the last 60 years, the United States has consistently led our global neighbors in the great enterprise of international cooperation. Today, with a penchant for unilateralism, blustering in the United Nations, the discarding of treaty obligations, and disregard for environmental protections, the US is fast becoming the lonely bully on the block. Thankful as we are for the sense of community that gave strength to our cities and towns, the religious affirmation of community as the locus of human flourishing makes us resist isolation. In a post-9/11 world, a self-righteous self-understanding is not an option. This Thanksgiving, let us truly be thankful for our blessings. But let’s make sure that, as we give thanks, we remember our responsibilities. Dr. Kireopoulos is the Associate General Secretary for International Affairs and Peace at the National Council of Churches USA. This Op-Ed was developed for use by media during Thanksgiving week 2005. Congratulations to the folks at Talk To Action – the new site launched today that will track the activities of the Religious Right. A must see blog. Some of my favorite people are writers for the site. Check it out. 16,000 Protest "School of the Americas"
The School of the Americas (SOA), in 2001 renamed the "Western Hemisphere Institute for Security Cooperation," is a combat training school for Latin American soldiers, located at Fort Benning, Georgia. Initially established in Panama in 1946, it was kicked out of that country in 1984 under the terms of the Panama Canal Treaty. Former Panamanian President, Jorge Illueca, stated that the School of the Americas was the "biggest base for destabilization in Latin America." The SOA, frequently dubbed the "School of Assassins," has left a trail of blood and suffering in every country where its graduates have returned. Over its 59 years, the SOA has trained over 60,000 Latin American soldiers in counterinsurgency techniques, sniper training, commando and psychological warfare, military intelligence and interrogation tactics. These graduates have consistently used their skills to wage a war against their own people. Among those targeted by SOA graduates are educators, union organizers, religious workers, student leaders, and others who work for the rights of the poor. Hundreds of thousands of Latin Americans have been tortured, raped, assassinated, "disappeared," massacred, and forced into refugee by those trained at the School of Assassins. Joe Rowley, 24, of St. Louis, a third-year student at Eden Theological Seminary, attended with the school's Social Justice Committee. "I'm here because at the seminary, we believe that Jesus Christ embodied justice and nonviolent resistance," he said. "We're representing our faith by working for justice." Sister Pat Hoffman, 74, of San Francisco, came to her second event. "I'm here to help close the SOA," she said. "We have a martyr in our group. She was killed in the Amazon, trying to help the people of the Amazon region save their houses. She was targeted as a troublemaker -- Sister Dorothy Stang. We're absolutely sure soldiers from Brazil who were involved trained here... . There has to be something to it for all these people to come here for years." why are you forsaking us? Why is there no answer when we call? in Beit Jala and Beersheba, Tel Aviv and Bethlehem? hear the cries of your children. in the corridors of Makassad and Augusta Victoria hospitals. They are the cries of your own child, abandoned and forsaken. enough blood is on the door post; let your people go free. in sending these weapons that have killed and maimed. Turn us, shape us, fill us with the power of your Spirit. through the power of your steadfast love. Your anger is but for a moment, your favor for a lifetime. And give us your shalom, your salaam, your peace. Blessed be your name, O God, for you have wondrously shown us your steadfast love. Into your hands we commit our spirits; into your hands we place our trust. This week the US House of Representatives passed a budget proposal that deeply cuts spending for necessary anti-poverty programs, education, and anti-hunger initiatives. President Bush supported the spending cuts and the tax cuts for millionaires that the cutbacks in social service spending will help pay for. The Bush budget plan was opposed by the National Council of Churches USA , the United States Conference of Catholic Bishops, and many other religious groups on the grounds that this budget is an immoral document. Poverty and hunger in America have increased every year since Bush took office. The prophet Isaiah said: "Woe to you legislators of infamous laws ... who refuse justice to the unfortunate, who cheat the poor among my people of their rights, who make widows their prey and rob the orphan." Today, I repeat those words. When our legislators put ideology over principle, it is time to sound the trumpets of justice and tell the truth. It is a moral disgrace to take food from the mouths of hungry children to increase the luxuries of those feasting at a table overflowing with plenty. This is not what America is about, not what the season of Thanksgiving is about, not what loving our neighbor is about, and not what family values are about. There is no moral path our legislators can take to defend a reckless, mean-spirited budget reconciliation bill that diminishes our compassion, as Jesus said, "for the least of these." It is morally unconscionable to hide behind arguments for fiscal responsibility and government efficiency. It is dishonest to stake proud claims to deficit reduction when tax cuts for the wealthy that increase the deficit are the next order of business. It is one more example of an absence of morality in our current political leadership. Budgets are moral documents that reflect what we care about. Budget and tax bills that increase the deficit put our children's futures in jeopardy - and they hurt the vulnerable right now. The choice to cut supports that help people make it day to day in order to pay for tax cuts for those with plenty goes against everything our religious and moral principles teach us. It says that leaders don't care about people in need. It is a blatant reversal of biblical values - and symbolizes the death of compassionate conservatism. The faith community is outraged and is drawing a line in the sand against immoral national priorities. It is time to draw that line more forcefully and more visibly. I applaud those House members who have stood up for better budget priorities and fought hard all year to keep issues of basic fairness at the forefront of this debate. And I thank those on both sides of the aisle who stood up and did the right thing in voting against this bill, despite pressure from the House leadership. These strong voices provide some hope for getting beyond an ideology that disregards the role of government for the common good. This president has shown himself to be an immoral man not fit for public office. He dishonors God with his words and actions. Preparations for the big move are under way. Phase I (moving our stuff and the twins) starts in just over a week. Phase II (the drive back to Oregon with the dogs) starts on December 13th after final exams and papers. This morning I started packing up my office. I’ve amassed enough books to start a small library. We’re all looking forward to returning to the great Northwest. Note to friends: feel free to volunteer your baby sitting services once we get back. Liz and I have a lot of movies to catch up on. Earlier this month United Methodist bishops released statements critical of the war in Iraq (opinions echoed by other Christian bodies over the last two years and by leading Republicans and Democrats on Capitol Hill this week). “No doubt, these bishops, if transported back in history, would have impartially ‘lamented’ the ‘continued warfare’ between Allied and German forces in Normandy in 1944, while blaming the plight of millions of victims of fascist aggression on the United States,” (Mark) Tooley suggested. Tooley, a former CIA worker, is a key staff person for IRD. IRD is funded by extremists such as Richard Mellon Scaife and staffed by Republican Party activists and has a stated goal of "reforming" all mainline churches. Their aim is to silence the prophetic voice of mainline churches on issues such as war and peace and economic justice for the least of these. IRD confuses partisan political activity in support of the Republican Party with living out the Gospel message. United Methodist Bishop Kenneth Carder, who teaches as a professor of pastoral formation at Duke Divinity School, wrote one of the UMC statements signed by the bishops on Iraq. “It is viewing the document through predominantly ideological and political lenses rather than theological and ethical lenses,” he said. “Vicious attacks even among United Methodists are symptomatic of the deeper problems that cause war, violence and destruction.” Ultimately the bishop said he hopes everyone can commit to overcome differences in peaceful ways. “I would encourage all those who have different positions to dialogue together,” said Carder. Tooley’s e-mail address is: [email protected]. Trust and confidence in the United States has been seriously eroded. We are seen by many in the Middle East as an obstacle to peace, an aggressor and an occupier. Our policies are a source of significant friction not only in the region but in the wider international community. Our purpose and power are questioned. We are at the same time both a stabilizing and a destabilizing force in the Middle East. We face the possibility of a much more dangerous and destabilized Middle East, with consequences that would extend far beyond the region’s borders….. The Iraq war should not be debated in the United States on a partisan political platform. This debases our country, trivializes the seriousness of war and cheapens the service and sacrifices of our men and women in uniform. War is not a Republican or Democrat issue. The casualties of war are from both parties. The Bush Administration must understand that each American has a right to question our policies in Iraq and should not be demonized for disagreeing with them. Suggesting that to challenge or criticize policy is undermining and hurting our troops is not democracy nor what this country has stood for, for over 200 years. The Democrats have an obligation to challenge in a serious and responsible manner, offering solutions and alternatives to the Administration’s policies. Vietnam was a national tragedy partly because Members of Congress failed their country, remained silent and lacked the courage to challenge the Administrations in power until it was too late. Some of us who went through that nightmare have an obligation to the 58,000 Americans who died in Vietnam to not let that happen again. To question your government is not unpatriotic – to not question your government is unpatriotic. America owes its men and women in uniform a policy worthy of their sacrifices…. The initial war and the handling of the aftermath have been criticized by the World Council of Churches and the Vatican. In the United States, the National Council of Churches USA has also been critical of the administration’s policies in Iraq. Senator Hagel’s words – as a republican leader – underscore that critics of this war come from all political perspectives. This week is being observed as National Hunger and Homelessness Awareness Week and events are being organized across the country by the National Coalition for the Homeless (NCH), local advocacy groups, and the National Student Campaign Against Hunger and Homelessness. This past weekend the student campaign held a national organizing meeting on the campus of Seattle University in Washington. NCH’s newly updated web site has a wealth of information on why people are homeless and other related issues. The US Conference of Mayors concurs with NCH and others that homelessness is increasing in America as the poverty rates continue to grow. You can help draw attention to this issue by educating your congregations and friends about the crisis of homelessness in America. No one should live a third world life in a first world nation. I served as a member of the NCH board for several years and urge people to support the mission of this grassroots national organization. The picture included with this post is a volunteer at Portland’s Goose Hollow Family Shelter helping feed a meal to a young guest staying at the shelter from when I was still working there. PBS’ Religion and Ethics Newsweekly has a good story up on their web site comparing the debates over evolution in Dover and Kansas. Check it out. Hunt Valley, Md., November 10 – The new President of the National Council of Churches USA, who is being installed today in Baltimore's Douglas Memorial Community Church, has been a pastor, educator and church administrator for most of his adult life. What’s more, there is hardly an aspect of the ecumenical movement – local, national, international – that he hasn’t served. Livingston was ordained in the Presbyterian Church (USA) on July 27, 1975 and he has been a member of the New Brunswick, N.J., Presbytery since 1985. He was pastor of Presbyterian churches in Los Angeles and New York until 1985 when he returned to his alma mater, Princeton Theological Seminary, as director of admissions and later as campus pastor and director of the chapel. The ecumenically-minded Livingston is well matched with the ICCC, which was born in 1950 as the result of a merger of two fellowships in the Community Church Movement that at the time was the largest interracial merger of U.S. religious bodies in history. Like many members of Baby Boom generation, Livingston entered college with a desire to serve people in a just cause. He earned a Bachelor’s degree in sociology at the University of California at Los Angeles in 1971 before switching his emphasis to theology at the Princeton seminary. He earned a master of divinity degree in 1974 and returned to school for a masters in theology in Pastoral Care and Counseling that was awarded in 1991. Shortly after seminary, Livingston immersed himself in a world that required a sociologist’s insights and a pastor’s heart. After three years as assistant pastor of St. Paul’s Presbyterian Church in Los Angeles, he was called as pastor of Hollis Presbyterian Church in Queens, New York. He quickly became active in the inter-racial interfaith, community-based Queens Citizens Organization where he served as Executive Vice President. He was also chair of the Patient Care Committee at Queens Hospital Center and was a member of the hospital’s community advisory board. He was also active in the Hollis Local Development Corporation and its campaign to revitalize its commercial zone. At Princeton Seminary, Livingston was Treasurer and a long time board member of the Princeton Regional Scholarship Foundation and the Family Guidance Center of Mercer County, which provides counseling services, substance abuse recovery programs, a Children’s Day School and an HIV Life Skills Program. Livingston has served the Presbyterian Church (USA) as a member of the Task Force for Women and as chair of the Committee on Ministry. In the Presbyterian Synod of the Northeast he has chaired the Vocation Committee and has been a member of the Women’s Concerns Team and the Racial-Ethnic Task Force on Recruitment. At the national level, he has served on the denomination’s Vocation Agency and on the Consulting Committee on Racial Ethnic Ministries. To affirm individual freedom of conscience; To protect and promote congregational self-determination; To proclaim that the love of God, which unites, can overcome any division; and To be an integral partner in the worldwide ecumenical movement. The Council’s vision and Livingston’s own proclivities have assured that his ecumenical activities will take up a major portion of his life. He has been President-Elect of the NCC from 2004 until the end of 2005 and he has been a member of the NCC’s Governing Board and General Assembly since 1999. In 2003 he was a member of the NCC’s Peace Delegation to Paris that attempted to delay or prevent the war in Iraq. His other ecumenical responsibilities have included the U.S. Conference of the World Council of Churches, the editorial board of Liberation and Unity, the National Workshop on Christian Unity, and the Presbyterian General Assembly Special Committee on Churches of Christ Uniting, which he chaired. For fourteen years he served as the editor of Liberation and Unity, a Lenten guide for meditation and study jointly sponsored by the COCU and the AME, AMEZ, and CME churches. Livingston is also a writer and editor with numerous publications, articles and book chapters to his credit. Those who watch Livingston preside over meetings know he has a quick mind, a sense of humor and a disarming manner for dealing with group tensions. Those attributes will serve him well in his new office. He will serve as President of the National Council of Churches until the end of December, 2007. This morning I preached on 1 Timothy 6:18-19 and two other texts. Those who trust in their riches will wither,* but the righteous will flourish like green leaves. They are to do good, to be rich in good works, generous, and ready to share, thus storing up for themselves the treasure of a good foundation for the future, so that they may take hold of the life that really is life. “For unto us a child is born." "Unto us a child is born, unto us a Son is given," Isaiah declares. As we prepare to receive the Christ child anew in this season of Advent, our faith compels us to hear the cry of all children, especially poor children. We must remember that every day millions of children are born suffering from hunger and poverty. Many of them will die of preventable disease. 2005 brought the hope of new political will to end hunger and poverty, as the ONE Campaign in the United States, and similar campaigns in 80 other countries, engaged millions of people in new efforts to end to extreme poverty, hunger and disease. An unprecedented array of religious and secular groups have organized to address the root causes of these problems. They are responding not only through charity, but also by calling on our elected officials to make genuine human development for the poorest people and nations a top U.S. policy priority. More and more Christians are finding – in the ONE Campaign, the Micah Challenge, and the Catholic Campaign Against Global Poverty – ways of acting on their faith to advocate for debt cancellation, trade justice and robust increases in poverty-focused development assistance. Advent can be our time to learn about these efforts, pray for their effectiveness and thus respond with greater energy in 2006 to better the lives and ensure the dignity of all God’s children. What can our congregations do this Advent to become involved with these issues? Click here to downlaod a quidebook from Bread for the World with suggestions for congregational efforts. There is a lot God is calling on us to do. They'll try again. Keep sending your letters. Related Post: Would Jesus Pass Tax Cuts For The Rich And Leave The Least Of These Behind? O’Reilly was upset over how the elections turned out in San Francisco on Tuesday. Click here to read more of his comments. FOX News owes an apology to the people of San Francisco and the rest of America. The only truly appropriate response would be to fire O’Reilly immediately. We spend a lot of time in San Francisco because my wife's family lives in the area. My daughters have lots of cousins in that part of the country. Let Bill O’Reilly tell them that their lives are worthless because he disagrees with the outcome of a democratic election. Hate seems to be a common theme from the right wing in America. "I'd like to say to the good citizens of Dover: if there is a disaster in your area, don't turn to God, you just rejected Him from your city," Robertson said on his daily television show broadcast from Virginia, "The 700 Club." The 700 Club claims a daily audience of around one million. It is also broadcast around the world translated into more than 70 languages. In voting on Tuesday, eight Dover, Pennsylvania, school board members up for re-election lost their seats after trying to introduce a statement on "intelligent design" to high school biology students. Adherents of intelligent design argue that certain forms in nature are too complex to have evolved through natural selection and must have been created by a "designer." Opponents say it is the latest attempt by conservatives to introduce religion into the school science curriculum. The Dover case sparked a trial in federal court that gained nationwide attention after the school board was sued by parents backed by the American Civil Liberties Union. The board ordered schools to read students a short statement in biology classes informing them that the theory of evolution is not established fact and that gaps exist in it. The statement mentioned intelligent design as an alternate theory and recommended students read a book that explained the theory further. A decision in the case is expected before the end of the year. Robertson’s claims border on being threats against American voters exercising their rights as citizens. His long-time allies in the Bush White House and in the Republican Party at large have to condemn him. It would be appropriate for President Bush to personally make a statement disavowing such hateful remarks. The IRS is threatening to revoke the tax exempt status of All Saints Episcopal Church in Pasadena, California because the priest there delivered an anti-war sermon shortly before the November election. Critics of the action point out that the sermon was critical of both President Bush and Senator Kerry. Is the Bush Administration using the IRS to silence anti-war critics? Or is the Bush Administration using the IRS to build support for a new law – opposed by mainline churches but supported by the Religious Right – that would allow congregations to engage in partisan political activity? "The Interfaith Alliance reaffirms our commitment to the IRS guidelines forbidding houses of worship to endorse political candidates. However, having read the sermon delivered by the Rev. Dr. George Regas on October 31, 2004, I see in it no violation of those guidelines. Dr. Regas was exercising the responsibility of all religious leaders to evaluate moral issues from the perspective of their respective religious traditions. “The Interfaith Alliance is investigating why the IRS challenged this particular sermon and why the IRS issued a warning about the sermon at this particular moment. Knowing the Religious Right's passion for advancing H.R. 235, a piece of legislation which, if passed, would change the IRS guidelines to allow for endorsements of candidates for electoral offices from the pulpit and thus fundamentally damage the historic constitutional wall separating the institutions of religion and government. I must confess cynicism about whether or not this challenge at this time is meant to build support for the advancement and passage of this dangerous legislation." Visit the web site for All Saints Episcopal Church in Pasadena, California where you can read the sermon in question, the letter from the IRS, and the congregation’s response. Based upon our longstanding policies defending human rights and our affirmation of human dignity as revealed in scripture, the General Assembly of the National Council of the Churches of Christ in the USA and Church World Service meeting in Baltimore, MD, November 8 – 11, 2005, commends the United States Senate for its recent passage of the “Anti-Torture Provisions” which came as amendments to the Defense Appropriations Act of 2006. As that bill now comes before the House of Representatives for action (H. R. 2863), we are deeply disturbed that leaders within our nation’s government oppose legislation which publicly disavows our nation’s use of torture anytime, anywhere, under any circumstances. Within the core of our religious tradition are Jesus’ call to love our enemies, his blessing of those who work for peace, and his instruction that we are to do unto others as we would have them do unto us (Mt. 7:12)--a teaching found in other faith traditions as well. Both United States and international law reflect this biblical mandate, a social ethic commonly known as the Golden Rule, by upholding as core principles the right of due process and the humane treatment of all prisoners, even in times of war. As delegates to the General Assembly of the National Council of Churches USA and Church World Service, we find any and all use of torture unacceptable and contrary to U.S. and international legal norms. We find it particularly abhorrent that our nation’s lawmakers would fail to approve the pending legislation disavowing the use of torture by any entity on behalf of the United States government. Torture, regardless of circumstance, humiliates and debases torturer and tortured alike. Torture turns its face against the biblical truth that all humans are created in the image of God (Gen. 1:26, 27). It denies the preciousness of human life and the dignity of every human being by reducing its victims to the status of despised objects, no matter how noble the cause for which it is employed. We believe that any reluctance of this nation to publicly disavow torture under any circumstance not only erodes the peace of the world but even the possibility of peace, since it destroys the trust required for diplomacy and other non-violent means to seek peace. Thus, we call upon members of the U. S. House of Representatives to follow the lead of the Senate by approving the legislation before it banning the use of torture by any entity of our government. Furthermore, we urge the President of the U. S. and all members of his administration to support this legislation by affirming America’s long-standing commitment to refrain from the use of torture. Click here to add your name to the list of supporters of this resolution. When Congress began the process of developing the 2006 budget for the United States government last February, United States Conference of Catholic Bishops president Bishop William Skylstad urged Members of Congress to remember that budget "decisions will reflect not only economic policies but moral choices as well," and urged Congress "to give priority attention in the budget to the needs of poor and vulnerable people both here and abroad." As the House now takes up its budget reconciliation bill, we write to reiterate the Conference's priorities and to share our views on how that bill may impact several key programs and the people they serve. We are guided by Catholic moral principles: respect for human life and dignity; the importance of family and the value of work; an option for the poor and the call to participation; and the principles of subsidiarity and solidarity. We also draw upon the Church's experience living with, and serving the poor among us. As perhaps the largest non-governmental provider of health care and human services to vulnerable people, the Catholic community meets the poor in our soup kitchens, Catholic Charities agencies and health care facilities. We are deeply disappointed by the budget reconciliation proposal before the House of Representatives, in particular, its lack of concern for children. Below are specific examples of programs that serve vulnerable people--often children--that will lose funds if this legislation passes in its current form. Food Stamp Program: The House reconciliation bill includes harmful cuts to the Food Stamp program that will result in taking food away from people, including children, who are being helped now. This would be objectionable anytime, but it is particularly unfair at this time. Recently, USDA reported an increase to 38 million in the number of Americans suffering from hunger or living in homes that are on the edge of hunger. This includes nearly 14 million children. Nearly 300,000 people in low-income working families will lose Food Stamp assistance if this bill becomes law and some 40,000 children in those families will no longer be eligible for free school meals. Many of those denied Food Stamps will be legal immigrants. We were strong supporters of President Bush's successful effort to expand access to Food Stamps for legal immigrants in the last farm bill. We strongly oppose the effort to roll back this expansion, by making legal immigrants wait an additional two years for eligibility. Health Care for the Poor: We recognize and affirm the sanctity of human life from conception to natural death and consider access to adequate health care to be a basic human right. No person should be denied access to needed health care because of inability to pay. We oppose the provisions in the bill that would allow states to increase the burden of co-payments, deductibles and premiums on Medicaid beneficiaries--including some children and pregnant women. Health care providers would be allowed to deny services to those who cannot pay these amounts. Another proposal would allow states wide latitude to choose which medical services it will offer to different groups of low-income people. It is important to maintain a federal standard of core benefits, necessary for the maintenance of good health, to which all Medicaid beneficiaries are entitled. The Congressional Budget Office (CBO) estimates that these provisions will save $6.2 billion over five years (and $28.2 billion over ten years), precisely because they will cause people eligible for Medicaid to get less of the health care they need. This attempt to save money by making it harder for low-income and vulnerable people to get the health care they need is simply unacceptable. Temporary Assistance for Needy Families: The House reconciliation bill includes the House bill to reauthorize the Temporary Assistance for Needy Families (TANF) welfare program. We reiterate our concern that the House approach to TANF reauthorization increases the work requirements on all TANF recipients, generally single mothers, and repeals the rule allowing a lower work requirement for mothers of children under 6 years old. While the House reconciliation bill does include small increases in child care funding, the amount is insufficient to pay for current child care services given inflation, let alone cover the need for additional child care created by increasing the TANF work requirements. We are also disappointed that the bill does not restore TANF benefit eligibility to recently-arrived legal immigrants. However, we note our support for funding programs--separate from the basic block grant--to promote marriage and healthy families (although we believe it would be better to target this spending on marriage and family services for low.income families). Child Support Funds: The House reconciliation bill cuts Federal funding for state child support services which will make it harder for states to collect child support for low and moderate-income families. According to CBO estimates, over the course of ten years families could receive $21 billion less in child support payments. Child support payments can be crucial to the economic viability of some families, keeping them out of poverty and off public programs. They also encourage parental responsibility and can help to maintain the connection between children and their non-custodial parent. Undermining the collection of child support is not good for children or families. Agricultural Programs: We are disappointed that the reconciliation bill reduces spending on key conservation programs. The bishops have stated that protecting God's creation must be a central goal of agricultural policies, and our conference supports policies that promote soil conservation, improve water quality, protect wildlife, and maintain biodiversity. The bishops' conference also endorses targeting limited government resources for direct federal payments and other forms of domestic agricultural support to small and moderate-sized farms, to help them through difficult times caused by periodic price shocks or unpredictable natural disasters, such as the recent hurricanes. Limiting U.S. farm supports and targeting them to those who need them the most would also increase the possibility that poor farmers around the world would be able to sell their products and support their families. We would welcome efforts to begin the process of redirecting agricultural subsidies to those most in need. We urge you to remember that the federal budget is more than a fiscal plan; it reflects our values as a people. Budget choices have clear moral and human dimensions. A just society is one that protects and promotes the fundamental rights of its members--with special attention to meeting the basic needs, including the need for safe and affordable health care, of the poor and underserved. In these difficult times, the United States Conference of Catholic Bishops urges you to work for a budget that does not neglect the needs of the "least of these" in our nation and the world. Click here to read the bishop's press release. …let justice roll down like waters, and righteousness like an ever-flowing stream. This afternoon religious leaders held a press conference on Capitol Hill with Senator Edward Kennedy calling for an increase in the minimum wage. At the press conference a report entitled A Just Minimum Wage: Good for Workers, Business and Our Future was released by the Let Justice Roll: Faith Community Voices Against Poverty campaign, a project of the National Council of Churches USA. The report was written by Holly Sklar and The Rev. Dr. Paul H. Sherry. 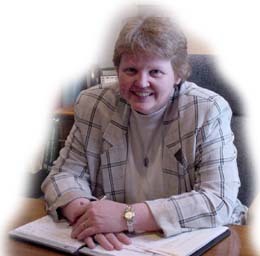 Dr. Sherry is a former general minister and president of the United Church of Christ. Wages are a bedrock moral issue. Wages reflect our personal values and our nation’s values. Wages reflect whether we believe workers are just another cost of business – like rent, electricity or raw materials – or human beings with inherent dignity, human rights and basic needs such as food, shelter and health care. This low and no lower…. 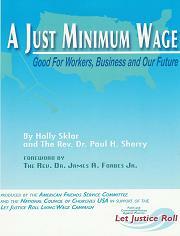 The federal minimum wage has been stuck at $5.15 an hour since September 1997. That’s more than eight years at $5.15 as the cost of living rises…. Today’s minimum wage is not a fair wage – economically or ethically. It is not good for workers, business or our nation’s future. The Rev. Dr. Bob Edgar, general-secretary of the National Council of Churches, sat down with me for a few minutes in Baltimore after the press conference to talk about the campaign and NCC’s General Assembly which beings tomorrow. I was in Baltimore for two days attending a NCC committee meeting held prior to the start of the General Assembly. This morning I was able to talk for a few minutes with Dr. Sherry as well. He’ll be heading out to Portland this weekend for the UCC's Racial Justice Convocation. Beginning Monday, November 7, the House of Representatives is expected to vote on provisions of a budget reconciliation bill that proposes cuts of $54 billion in vital social services for some of the most vulnerable people in America. Families lacking health insurance, abused and neglected children, single mothers trying to collect child support, working families relying on Food Stamps, people with severe disabilities and the poor all face severe cuts in needed programs, reports the United Church of Christ Justice and Witness Ministries. The Act has been opposed by the National Council of Churches USA and many other religious bodies, including the Religious Action Center of Reform Judaism. Before moving to St. Louis to attend seminary I worked for 17 years on issues of affordable housing and homelessness in Portland and look forward to finding ways to once again become involved with issues of poverty once my family moves back to Oregon in December. I know that the cuts under consideration will be devastating. Poverty has increased for the last four years in the United States and this legislation will worsen the situation. I urge both of you – my St. Louis congressman and my (once and future) Portland congressman – to vote against the budget reconciliation bill. A phrase in a letter from 20 church leaders to members of Congress denouncing federal budget cuts would be immortalized in law if Senator Frank Lautenberg (D-N.J.) had his way. The name of the bill should be changed because “honesty is also an American value. Let’s call this bill what it is – a moral disaster,” Lautenberg said. "This is significant because it means that Congress pays attention to what we say," said. the Rev. Brenda Girton-Mitchell, associate general secretary for Justice and Advocacy. "So often we think what we say doesn't matter but this shows that it definitely does!" It is unlikely that the Senate will allow debate on Lautenberg’s bill, however, it has added a much needed faith perspective to the budget debate. This evening the annual fund raising dinner for Eden Theological Seminary was held in downtown St. Louis. Operation Save America, the radical anti-abortion group whose leaders have been accused of promoting violence, protested the event. The group has previously protested on the Eden campus. It would be fair to say that most people in the Eden community lean toward the pro-choice side of the abortion debate – we have an active chapter of the Religious Coalition for Reproductive Choice on campus – but that view is not unanimous. Our faith community is diverse (Eden is related to the United Church of Christ but students come from several denominations) and dialog is important in a seminary setting. We respect that people of good faith can come to different conclusions on serious issues. You can show your support for such an ecumenical community committed to serious theological education by clicking here. Offering support for Eden now will send a message to groups like Operation Save America that Christians can dialogue with one another and not have to resort to violence or intimidation. The benefit, by the way, was a great success and no one turned away at the door because of the protesters. It is nice to see that the American people have finally caught on to the shameful nature of this administration. CNN has fired Aaron Brown. Over the last few years Brown has been CNN’s only real bright light. Wasn’t his first day on the air at CNN on September 11th? His coverage that day was remarkable for a live event. Brown is a rare bird in television these days: he is a journalist and a fine one at that. His character and intellect remind you of Murrow or Cronkite. There was a winter several years ago that I worked overnight shifts at a youth shelter. Most of those nights – when all the kids where asleep – I’d go through paperwork and watch the overnight news program that Brown anchored for ABC. It was then I became a fan of this former Seattle newsman. Television news and how it is delivered has always been important to me. One of my favorite activities as a kid was to hang out on Saturdays at the television news rooms in the stations my father worked for. My dad, who worked as a news anchor and later producer, often worked on weekends and would sometime let me tag along. Growing up around television reporters – and later being interview by them because of my work on issues of homelessness – helped develop a sense for me of what is good journalism and what is entertainment dressed up as journalism. No one would question that entertainment is valued today more highly that serious news. Brown, however, has always delivered the news and apparently CNN’s new management doesn’t consider that worth the investment. In his interviews he presses the spin masters so prevalent in politics for the facts behind the spin. And he does so in this homespun conversational kind of style that isn’t arrogant or off-putting. His program at CNN – which I often enjoyed watching – valued substance over flash. I don’t know a thing about his politics but his character as a journalist has always been evident. I hope another network has the good sense to hire him again – and soon. Television news needs people like him. Bethel Congregational United Church of Christ has been an active contributor to the religious fabric of Beaverton for 125 years. On Jan. 4, 1880, three women -- Mrs. C.S. Hamilton, Miss Annie Hamilton and Mrs. E.M. Klink -- met with the Rev. George H. Atkinson, an official with the American Home Missionary Society of Oregon and Washington, to organize the Bethel Congregational Church. In August 1881, the Grange Hall was purchased for $500 (half of which was loaned to Bethel by the American Congregational Union). The church was dedicated Jan. 1, 1882. We are kicking off a full year of anniversary events with a 125th anniversary worship on Sunday, Nov. 6. The service will include special music by the Whiskey Flats Brass Band, which specializes in band music of the late 19th century. Worship will integrate the early roots and traditions of Bethel's past with the tastes and practices of today…. Informing our approach to Christian community is a theology of grace. The invitation to see life as a fabulous gift given in abundance (John 10:10). The essential goodness of Creation (Genesis 1:31). The centrality of love in our identity and mission (Micah 6:8). The direct connection between loving God and loving others (Matthew 25:40). The basic cornerstone of our faith: God loves us no matter what (Romans 8). This theology of grace has inspired us to articulate a vision for the future, which we believe God is inviting and guiding us to venture. Congratulations to the people of Bethel Congregational UCC! The Religious Action Center of Reform Judaism has launched a new web site to solicit questions senators should ask Samuel Alito during his confirmation hearings. (The) nomination of Judge Samuel Alito Jr. to the U.S. Supreme Court has begun anew the process of filling the seat vacated by retiring Justice Sandra Day O'Connor. As the President noted in accepting Harriet Miers's decision to withdraw her nomination, the Senate's responsibility to examine thoroughly a nominee's record, work and writings is of paramount importance. For this reason, we call on the Administration to make available all pertinent documents concerning Judge Alito's work and call on the Senate to carefully review that material and fully exercise its powers of advise and consent. We look forward to the opportunity to learn more about how Judge Alito has conducted himself as a member of the U.S. Court of Appeals. Throughout her tenure on the Supreme Court, Justice O'Connor was well-known for approaching cases with an open mind, for understanding the real-world impact of her rulings, and for rarely abandoning the Warren and Burger Courts' expanded protection of rights for women and minorities and of the wall of separation of church and state. Particularly because he has been nominated to fill Justice O'Connor's seat, it is all the more essential that an exploration of his record demonstrates that Judge Alito will sit on the bench with an open mind and uphold the rights and liberties Americans hold dear. To encourage the participation of Reform Jews and others in the process of exploring Judge Alito's fitness for the Supreme Court, the Religious Action Center is launching a website, www.AskJudgeAlito.com, which allows for the submission of questions to be asked by Senators during the confirmation hearings. We look forward to working with Senators on the vital process of ensuring that any Supreme Court nominee is worthy of a lifetime appointment to our nation's highest court. During his tenure on 3rd Circuit many of Samuel Alito's opinions have been roundly criticized by other judges. This is particularly true in civil rights cases. In such cases Alito has been repeatedly criticized, not for being conservative, but for being unfaithful to the law. Click here to read some of what Alito's own colleagues think about his judicial opinions. President Bush has nominated Samuel Alito, a judge on the U.S. Court of Appeals for the Third Circuit, to be an associate justice of the U.S. Supreme Court. Alito’s written opinions on abortion and reproductive choice give us grave concern, and we urge the Senate to ask important questions about his views on the right to privacy in the coming weeks. With two reproductive rights cases on the U.S. Supreme Court docket this term and a third likely to be heard, the stakes are enormous. The next Supreme Court Justice will be in a position to shape laws regarding reproductive choice for the next generation. (The cases are Ayotte v. Planned Parenthood of Northern New England and Scheidler v. NOW. The possible third case will be a challenge to the so-called Partial Birth Abortion Ban Act of 2003.) Alito, if confirmed, will replaced Justice Sandra Day O’Connor, who has been the pivotal vote in cases to protect reproductive rights. Justice O’Connor has brought an open-mind and pragmatic approach to every case. Alito must show that he will not impose his personal ideology, nor that of the Administration, on the Court, and that he is committed to protecting individual rights and freedoms. Click here for more on RCRC. This afternoon I sat down with The Rev. Dr. Joretta L. Marshall, the incoming chair of Reconciling Ministries Network and professor of pastoral care at Eden Theological Seminary, to discuss the recent United Methodist Church Judicial Council decisions defrocking Beth Stroud and reinstating a suspended UMC minister who had refused membership into his congregation to an openly gay man. Both controversial decisions have sent shock waves through the United Methodist Church. Conservatives – including outside political groups such as the Republican Party aligned Institute on Religion and Democracy – have cheered the decisions, but groups such as the Reconciling Ministries Network, a coalition of UMC churches, clergy, and lay people, have issued statements blasting the outcomes of these decisions. “The decisions of the Judicial Council create a tragic moment in the history of our United Methodist Church. The outcomes were surprising in their severity and in their disregard for United Methodism. The harshness toward clergy continues a pattern; the harshness toward lay members is shocking. Be careful. Often such discriminatory rulings unleash long-harbored hatred,” said RMN on their web site. Marshall, a well recognized United Methodist clergyperson, is considered one of the leading experts on pastoral care in the US and is the author of several books (including Counseling Lesbian Partners - Counseling and Pastoral Theology) and articles dealing specifically with issues of sexuality and ministry. She also served a stint as the Academic Dean at Eden and as such has been a friend and mentor to me during my seminary career. "Democrats force Senate into unusual closed session"
Democratic leaders forced the United States Senate to move into to an extraordinary closed session this afternoon in an effort to draw attention to the fact that the Republican leadership continues to cover-up the lies and deceits of the White House concerning the reasons we went to war in Iraq. There's a perception in this country that we were lied to about the run-up to the war in Iraq. Maybe we were and maybe we weren't, but there are a lot of people who think we were. And a half a trillion dollars and 2,000 of our kids later, we're still there. We're mired in a thing that has no visible end. If it was necessary and if the threats were real, fine and dandy. But if they lied to us, if there was some kind of intent to deceive, then they ought to find out who did it and tear their fingernails out and then get rid of them. Maybe the Republicans in Congress will finally be embarrassed enough to investigate this White House. "Cathedral of Hope votes overwhelmingly to join UCC"
The 4,300-member Cathedral of Hope in Dallas, Texas, has voted overwhelmingly to seek denominational affiliation with the UCC. Ironically, at a time when UCC leaders are conceding that an estimated 20 congregations are likely to leave the denomination in response to a decision in July by the UCC’s General Synod to affirm same-gender marriage equality, the 1.3-million-member church also is attracting interest from existing congregations in unprecedented numbers. In October alone, six existing churches joined the UCC, which may be a single month’s record. Cathedral of Hope’s decision comes amid speculation that two other large-membership churches will consider joining the UCC in 2006. In Minneapolis, the 2,000-member Plymouth Congregational Church has planned forums about the UCC in anticipation of a May 2006 congregational vote. And, in Tulsa, Okla., the Higher Dimensions Family Church – a charismatic, integrated mega-church founded 25 years ago by Oral Roberts Evangelistic Ministries – has made known its interest in UCC affiliation. The church’s founding pastor, Bishop Carlton D. Pearson, has indicated his enthusiasm for the UCC at recent gatherings of the denomination’s Northern California – Nevada Conference and Kansas – Oklahoma Conference.